For many you, flossing your teeth falls under a list of your least favorite activities. Indeed, it is almost medieval torture to take the little piece of string, wrap it tightly around two fingers and scrape it down along each tooth and the gum line. It is near impossible to not do damage to your gumline in the process. The good news is that there is a better way. Using the Waterpik Aquarius Water Flosser WP-660 means you can toss that troubling dental floss once and for all. Through adjustable water pressure settings, you can make sure you are clearing away all the debris and bacteria that brushing alone might not be handling on its own. This article will look at the device and its specifications, as well as what items you can expect in the box if you purchase one. In addition, and in order to save you time, we will take a look at how it compares to other flossers that are available on the market. Finally, we will examine a comprehensive list of common pros and cons that have been gleaned from online customer testimonials and reviews. 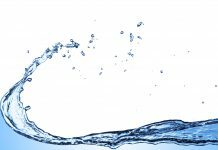 A Brief History of Water Pik, Inc.
Just what exactly is a water flosser? It is a simple device that sprays water at an adjustable speed to remove food particles and bacteria from between teeth. Imagine a garden hose that you might use to clean the walkway in front of your house. Now imagine a miniature device that can do the same thing for your teeth, and you’ve got a water flosser. From gentle to high-speed pressure, you will find a setting that will keep your teeth as clean as possible without being painful to your teeth or gums. If you’ve been around for any time at all, you’ve heard of Water Pik, Inc. Since 1962, it has been a leader in creating and selling oral and personal healthcare products. The company is a subsidiary of Church & Dwight and wholly owned by such. 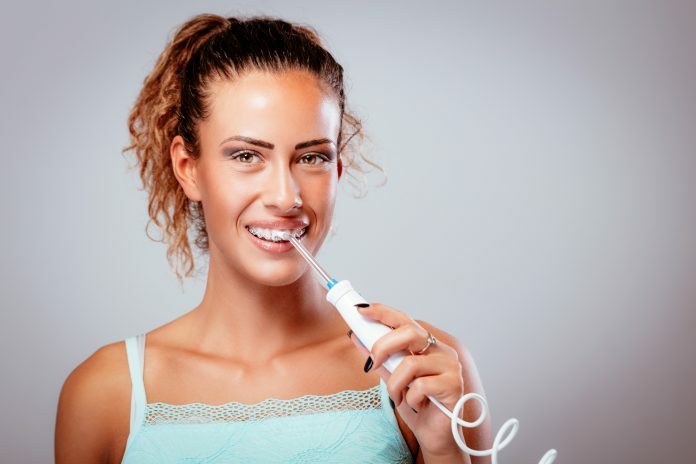 In addition to personal-use products, Water Pik, Inc. produces a full line of professional oral health products for both restorative and preventative oral health care. In addition to oral health products, the company produces a full line of massaging showerhead products. Aqua Tec Corporation was the original name for the company, and it produced its first oral irrigator in 1962 for use in professional dentistry. In 1967, the company received their first patent for a personal water flosser. Then, in 1973, the company branched out into showerheads and produced their first massaging showerhead with pulse technology. The company’s rich history has only grown stronger since then with a continual offering of top-notch and innovative products. 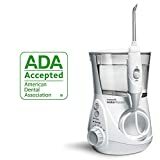 One of the top selling points of the Waterpik WP-660 is the fact that it is American Dental Association or ADA accepted. This is a top honor that is not handed out lightly. The device features 10 different water speeds with a water control button right on the handle. Having all the pressure settings makes it an appropriate product for every household member, as even the most sensitive of teeth will find a setting that doesn’t bother them. There are seven tips included with the purchase, but additional tips or replacements can be purchased at any time. This is a positive if multiple people will be using the same device so that everyone can have their own cleaning tips. The tank reservoir is covered, so you don’t have to worry about anything accidentally falling into your water. The Waterpik can be used with water or with a combination of water and mouthwash. If you are using mouthwash, be sure to thoroughly rinse out the reservoir and feed tubes after each use. One standout feature of the Waterpik WP-660 is the mode for Hydro-Pulse Massage. This setting sends out pulses of water to give extra power for massaging your gums or removing difficult pieces of food debris. The reservoir tank holds enough water for the unit to run for a full 90 seconds, which is plenty of time to make sure you have thoroughly cleaned between each of your teeth. Many retailers carry the Waterpik Aquarius Water Flosser WP-660 device. Amazon, a go-to online store for many people, carries the unit with their “Amazon’s Choice” banner for $. Walgreens lists it on their site for $, and Jet.com lists their price as $. All prices listed are pretax and don’t include any possible shipping costs. We also found this product for sale on eBay for various price points. Some of the units were used, so we did not include the listed prices, as they are not a fair comparison. Think long and hard before buying a used device, and if you do, make sure it is properly sterilized before you use it for the first time. There are a number of products available that try to meet the high standard that Waterpik has set. 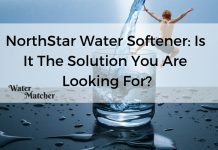 It may not be feasible for you to spend a lot of time reviewing the various options, but yet, you do want to make sure you are buying the best product when you go to get a water flosser. To save you time, we have looked in depth at three of the competitors to see how they stack up when placed side-by-side with the Waterpik WP-660. The Waterpik WP-660 stands out the most because of its pulse massaging function, which we did not find in any other offering. In addition, it comes with a three-year warranty, which is three times that of most of its competitors. In addition to its 10 pressure settings, it also features a water control button right on the handle for easy one-handed operation of the device. The first unit we looked at in comparison was the Fairywill Water Flosser. Like the Waterpik WP-660, Fairywill’s option includes 10 different pressure settings. It similarly has a covered water reservoir that holds 600ml or enough water for 90 seconds of continuous flossing. The initial purchase includes just four tips, though additional tips can be purchased. It does have a water control button right on the handle, making it easy to control the water stream. The product is guaranteed by the manufacturer to perform for 1 year from the date of purchase. Next up is the THZY Water Flosser. 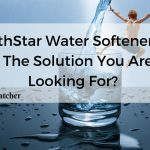 It’s number one standout point is that it has tip storage with a UV sterilizer to make sure your tips are always free from bacteria and viruses. THZY sells their flosser with seven tips included, and it also has a 600ml water reservoir that can provide up to a 90-second continuous stream of water. It also has 10 different pressure settings ranging in pressure from 30-120PSI, which is plenty of strength to clear out even the toughest of debris that might have been left behind from your last meal. Like the Fairywill option, THZY only provides 12 months of warranty for their product. From the H2ofloss brand comes a water flosser with an 800ml reservoir tank, which can provide a continuous water stream for up to 150 seconds. 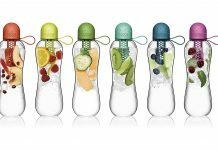 In addition, it stands a little above the Waterpik offering in that it comes with 12 multifunction tips with a covered storage compartment that can hold up to 20 tips in total. H2ofloss includes a two-year guarantee for their devices. 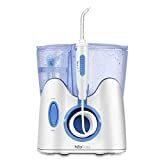 You could take the time to review lots of customer reviews and testimonials to see if the WP-660 is the right water flosser for you, but you should know that there are over 10,000 reviews on Amazon alone. In addition, some reviews are inherently biased or presented out of context, as the issue the customer had may be tied to the way they used the product or a rare product defect. Again, in order to save you time and effort, we have put together a comprehensive list of pros and cons about this option. The Waterpik name alone is a huge selling point for the WP-660. For many years, Waterpik has been the leader and main innovator of water flosser technology. 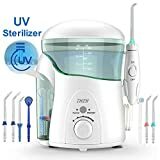 In fact, they are so well known for their work in this area that most people will refer to any water flosser as a Waterpik regardless of the brand that manufactured it. In addition to their strong brand reputation, the company offers a three-year warranty, which is triple what most of its competitors offer. The WP-660 stands out, as it is the only unit we could find that included the Hydro-Pulse Massage setting for properly massaging gums for better gum health. An LED indicator lets you know which mode you have the flosser set to. It comes with seven tips, which is more than most offerings from other brands. The reservoir tank is covered for water protection, and the unit has onboard, covered storage space for the tips that are not in use. Another big advantage of the Waterpik WP-660 is that it has a button for water control built right into the handle. That means you will never be juggling a handle with streaming water with one hand while trying to feel your way for a power button on the front of the unit. The convenience allows you to control the water stream with just one hand and right where you need it. It is important to note that there were very few customer complaints in the many customer reviews and testimonials we looked at. That said, there were a few items that came up often enough that felt it was important to include them in our review. Several people were unhappy with how noisy the unit can be while in use. Since the water is being expelled by a powerful water pump, some noise should be expected. However, some consumers said that the noise level was so high that they could not use the device while other members or their household were sleeping. A few other buyers left comments about water leakage and mold problems. It is hard to say if these problems resulted from the mistreatment of the product or if it was a rare defect in just a few of the items produced. In any case, those comments were consistent enough to warrant they also be included in our review. Mold, however, should never be an issue if the unit is properly cared for according to the manufacturer’s instructions. 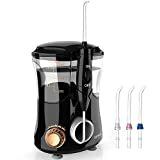 On Amazon, the Waterpik Aquarius water flosser WP-660 has more than 11,000 reviews, and a staggering 71 percent of those reviews are 5-star. There is no doubt that Waterpik has produced a high-quality and durable product. In fact, adding in the other reviews including the negative ones, which are likely based on rare product defects, the product maintains a 4.4 overall rating. With such strong reviews and positive customer comments, we feel we can wholeheartedly stand behind and recommend this product. It is a simple device that sprays water at an adjustable speed to remove food particles and bacteria from between teeth. Now imagine a miniature device that can do the same thing for your teeth, and you’ve got a water flosser.